Why learn to meditate? Meditation is not an obligation or just another chore to fit into a busy schedule. It’s way more than that. In fact, I believe meditation is one of life's greatest pleasures, one that offers countless health benefits. There is literally nothing I’d rather do than meditate, and when I haven't meditated recently I can tell the difference. I'm just not as sharp or as relaxed, and my fuse is shorter. The benefits of meditation are enormous, and far reaching. Meditating is like spending an hour in a restful and blissful state, free from worry and stress. When you meditate you go into a secret sanctum within, an enchanted realm, a place of great peace, far from the madding crowd. You are filled with the sense of the sacred, and you can connect with something far greater than yourself. Some feel meditation is akin to communing with your Higher Power. The opportunities for exploring this inner space are endless. In a sense, that's what meditation is, an exploration of inner resources and the nature of reality, as well as a terrific stress management tool. Meditation is a way of seeing, thinking and being. A way of life. In my mind, meditation is and has always been the final frontier -- the frontier within, where one can explore endless possibilities. And, it is a privilege to go there. Not everyone will take the time and effort to sit still and do nothing, or stop the merry-go-round long enough to take a break and look inside themselves. But, if you want to make contact with your deepest self, or catch a glimpse of absolute reality, then you should learn to meditate. You must not be afraid of what you will find, though. You must be open and non-judgmental, for a deep awareness can emerge, helping you to see your life in a new way. 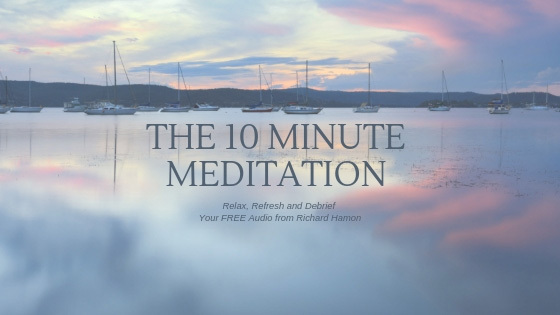 Learn why my clients like to relax and meditate in my office -- here's a short FREE meditation audio you can listen to right now, A Ten Minute Meditation with Richard Hamon. It will take the work out of it for you. Just settle back in your chair and listen. 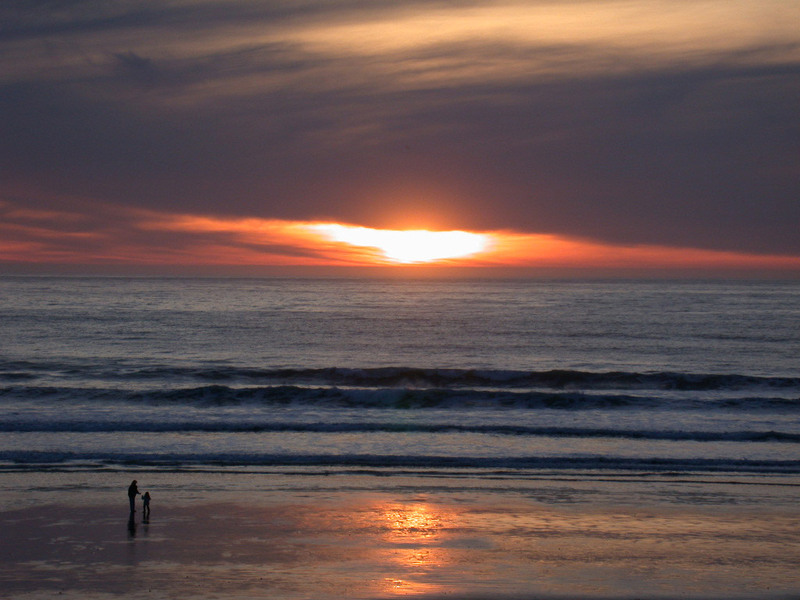 Every time I meditate I am hopeful of finding a glimmer of light, or a glimpse of enlightenment. Even if that doesn't happen, I know I will thoroughly enjoy my meditation, and I'll feel wonderful, afterwards. After all, meditation is a light. Meditation can be a real joy in today's hectic, stressed-out world. Learn to meditate, and you will gain a powerful ally in the fight against stress. Meditation is the ultimate form of relaxation, or deep relaxation, which can do wonders for your body, mind and soul. Jon Kabat-Zinn taught chronic pain patients how to relax and meditate at the University of Massachusetts, and the benefits were startling. They learned to tolerate their pain effectively, and they went on to live happier, more fulfilled lives. Collectively Jon's teachings have become known as Mindfulness, which is a powerful natural anecdote to stress, anxiety and pain. Stress can race your heart, lower your immune functioning, adversely affect your relationships, cause poor sleep, contribute to disease, sabotage happiness and lower your overall performance in life. Learning to relax deeply can make al the difference. Deep states of relaxation, such as those found in meditation, are associated with healing, rejuvenation and vibrant health and well being. If you have trouble relaxing or knowing where to begin, you can begin with a solid relaxation program. An audio program is perfect for learning to sit still and go within, and to let go of stress. It takes the uncertainty and work out of it. I created an original audio program to help people begin relaxing in a powerful way called Journey to Relaxation. When you listen, you won't have to remember any complicated steps. Just put your headphones on, sit back and let go of all your problems. You'll be floating away on a cloud, in no time. Not all meditation is sitting meditation. You can learn to meditate while walking, perhaps even singing and dancing. After meditating for many years, I took formal lessons on the proper way to meditate while walking. It was a revelation! My yoga/meditation instructor made it easy for me to engage in a walking meditation effectively and easily. And it was so much fun. When you do a walking meditation, you are going to go very slowly, but the point is not getting somewhere, but enjoying the trip. And, what a stress-free walk! 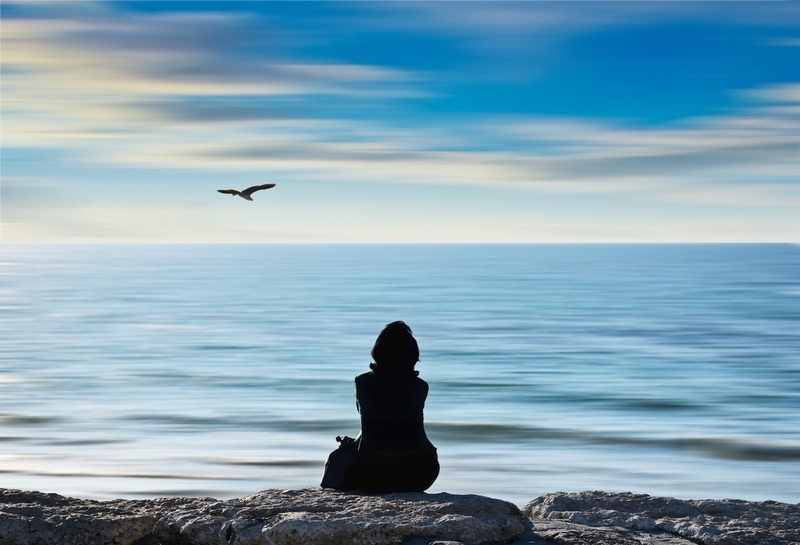 Meditation can be an integral part of a powerful spiritual practice. It is the ultimate extension of worship and prayer, only you must let go of what you think you know, and remain open and receptive to shards of truth that break through the clouds of illusion and false knowledge. One of my students described meditating like listening to the whisperings of angels. Meditating upon love and kindness, compassion, gratitude or forgiveness can be a rewarding way to enhance your understanding of life and strengthen your ability to reach out to others . . . and to lead a healthy, purpose-filled life. Meditation can help you to focus on what's real, become more attuned to your own inner needs and increase your skill at serving others. And, it can move you to become more sensitive to the plight of others. As a result of the uplifting effects of meditation, you will feel calmer, wiser and more alive. After meditating, I know I always feel settled, centered and at more at peace. I notice I am more patient with others throughout the day. I am less reactive and more balanced in my head and heart. Plus, I feel like I really belong in the world. I feel as one with everyone and everything. All my connections and relationships seem deeper and more worthwhile. Not a bad way to start the day! In fact, I firmly believe if the citizens of the world were to meditate, there would be no wars. 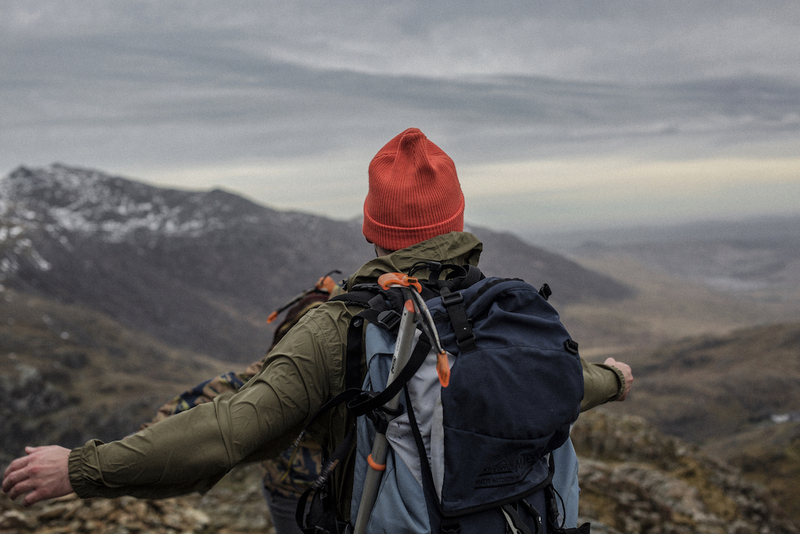 There is no greater frontier to explore and no better way to spend your time. Meditation is the ultimate journey to the real self. It is a path of heart, healing and revelation. A treasure trove of endless opportunities for growth, wisdom and transformation await you when you learn to meditate. Naturally, there is a learning curve. Meditation requires patience and steadfast devotion, practice and more practice, but the rewards are extraordinary. You can manage stress, heal from trauma, open the doors of perception and seek to advance spiritually through the practice of meditation. All while having the time of your life. Nothing is a more enjoyable pursuit. Meditation will give you much peace and happiness, make you healthier and help you to live longer. After all, meditation is calming, reassuring and energizing. Thus my question is, How can you not learn to meditate? Meditation can become a wonderful part of anyone's life, and it can make life more enjoyable and rewarding, help you to live longer and happier, and it can assist you in growing your spirituality. It is an effective stress management tool. Meditation does wonders for your brain, lengthens your fuse and fills you with a powerful sense of peace and contentment. Meditation can soothe the soul and reconnect you to the source. Learn to meditate and you will lead a richer, more inspired life.